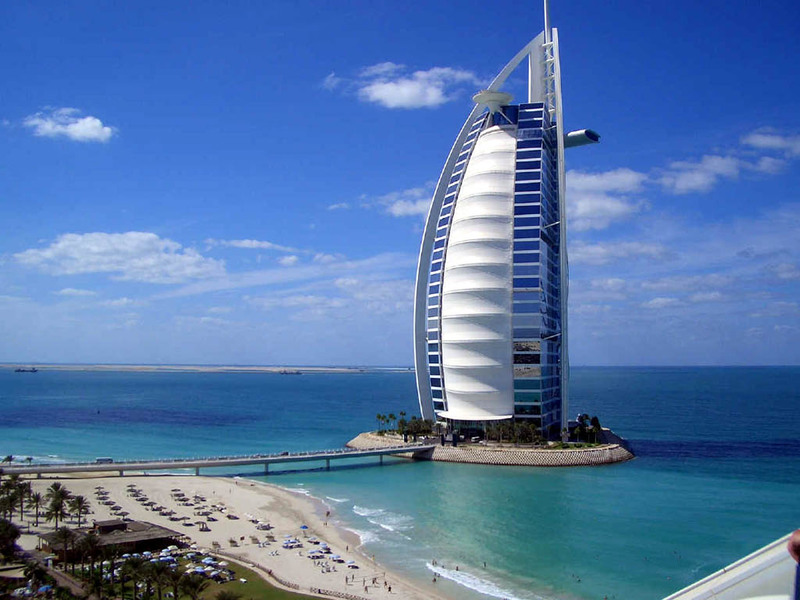 For all 6 B&B hotels in Dubai, we show actual room availability. Dubai's striving for growth does not seem to have any boundaries – and no limitations are placed on it, bringing up more and more ambitious plans like the largest mall in the world (Dubai Mall) or new airport to be built at Jebel Ali in addition to the present one that is considered the most loaded in the Middle East. The number of tourists coming to Dubai does not seem to be showing any decrease, yet growing every year in spite of some political conflicts going on in the region. The tourist industry keeps showing good growth with its part of the emirate's GDP now counting for 30%. The reason is quite obvious – perfect climate with over 98% percent of sunny days a year. Yet in summer the temperatures rise as high as not to let tourists bear the heat in places with no air-conditioning. Call us via the telephone number below or book online your Bed and Breakfast hotel in Dubai, United Arab Emirates - cheap and without reservation fees. OrangeSmile.com provides 6 inexpensive, comfortable and affordable B&B accommodation and lodging in/around Dubai.